Brothers Rabbi Chuni Vogel and Rabbi Nechemiah Vogel visited the Mayanot Yeshiva in Jerusalem for more than one reason. The Delaware Jewish community might not be the largest or as well known as communities like New York or Los Angeles, but relative to their size the community is having a great international impact. 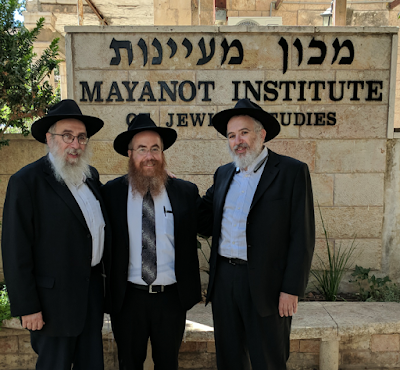 Under the direction or Rabbi Chuni Vogel, Director of Chabad of Delaware, the community has been bolstered greatly, and the Mayanot Institute of Jewish Studies, in Jerusalem, is experiencing the positives effects of all the students that have come through from Delaware. Current students, Zach Horowitz and Isaiah Coplon of Wilmington Delaware, are just two examples of inspired individuals, who are excited for the upcoming year. 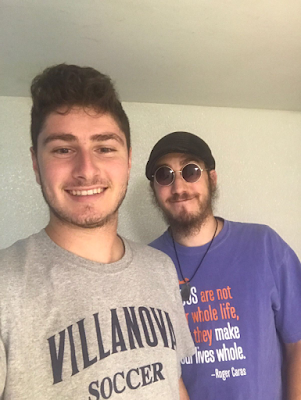 “After only a week, my experience at Mayanot has been very eye opening; it is a fantastic feeling to be in a place where I can learn, grow, and experience authentic Judaism in an environment surrounded by passionate, G-d loving people. There is no doubt that this year will continue to be one of immense positivity and growth for me, and I’m so looking forward to the many more experiences to come,” says Horowitz, CTeen champion of 2016. 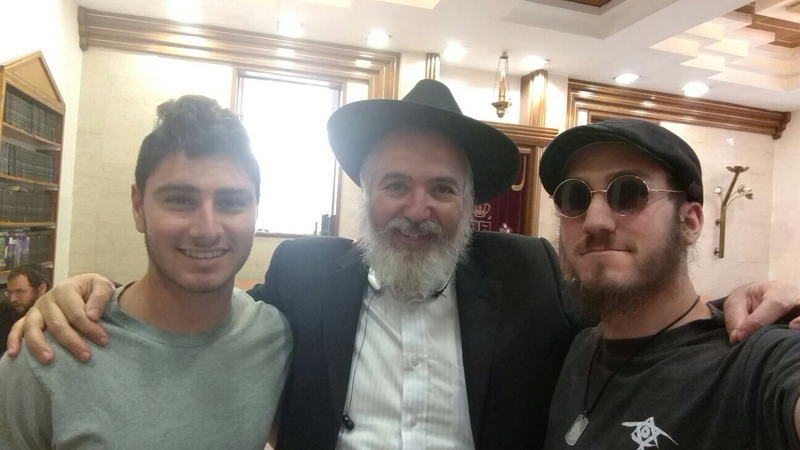 Starting the new semester off right, Rabbi Chuni Vogel, and his brother Rabbi Nechemiah Vogel of Chabad of Rochester, came to visit the students, in Jerusalem. They lead a fabrengen and discussed what the students’ goals were for their upcoming year of growth. The students were grateful for the visit, the ability to fabreng with their shliach, and for being welcomed to Mayanot in a supremely unique way. “It is a wonderful opportunity for new students to be greeted, at the beginning of the new academic year, by the shluchim that helped inspire them to come. For these individuals, the learning experience can be even more transformative”, said Rabbi Kasriel Shemtov, Executive Director of Mayanot. Motti and Rachel Flekshtein also grew up in the Chabad of Delaware community and came to learn at Mayanot in 2005. Today they themselves are shluchim in Delaware. The Mayanot Institute of Jewish Studies is proud to partner with Chabad of Delaware to inspire our youth and help create Jewish leaders like Rabbi Motti and Rachel Flekshtein, who are impacting hundreds of Jewish teens in their home community.